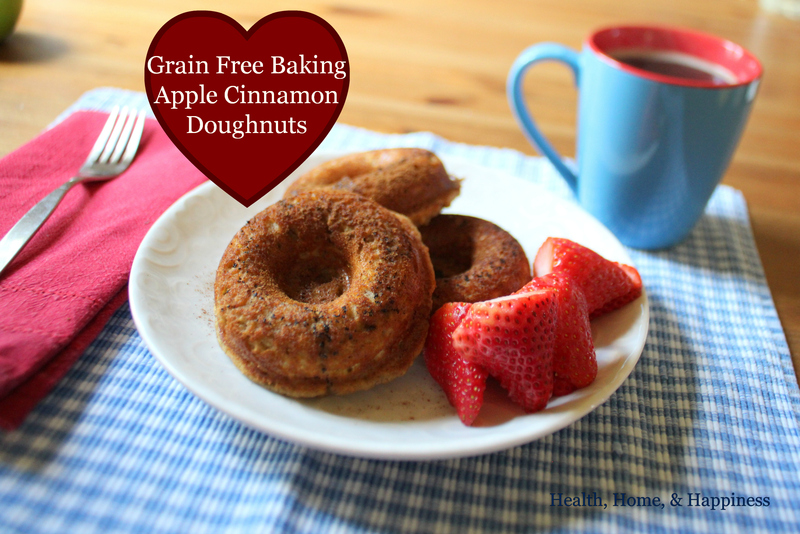 These Cinnamon Apple Doughnuts are sweetened with apple juice and a dab of honey. They’re delicious, my kids were so excited that we were making doughnuts! They are delicious with something warm to drink and some sliced fruit. These are made in a nonstick pan; I will occasionally use nonstick bakeware for things I don’t make often (my waffle iron is nonstick as well) but for daily use I use stoneware, cast iron, glass, or stainless steel. This wraps up our Grain Free Baking Week! See the other recipes we made here: Pineapple Upside-Down Cake, Apricot Almond Bars, Spiced Apple Crisp, and Apple Cinnamon Doughnuts. And read more about what the GAPS book says about sweets here. 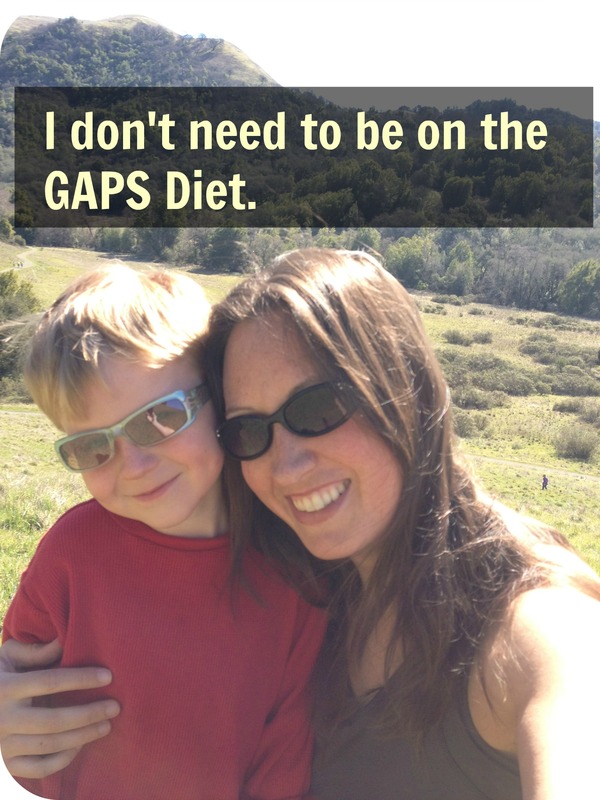 Next Post: I Don’t Need to be on the GAPS Diet. 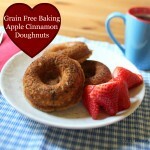 Donuts seem to be all the rage these days – and they’re grain free! Thanks for breakfast for tomorrow morning! Surely you must mean bake for 20 minutes, not 2? The batter didn’t pour into the donut pan. I had to scoop it in clumps and then smooth into the pan. I baked for 20 minutes. They stuck badly to the non-stick pan which had been greased with coconut oil. They didn’t hold together after baking. I have a bowl of crumbs which are tasty but not what I was hoping for. Hmm, yes, let me go change it to the right time. And yes, I scooped it too (this isn’t my recipe) I’ll note that as well. not sure why they didn’t hold together for you! I typically do not care for coconut flour, but just made these with a bit of varience; and I really like them (so does my 3 1/2 year old). I have a feeling they are best hot and maybe a little underdone, but do not know that for sure yet. I used one tablespoon applesauce in place of one of the TB of coc. oil and baked them in a mini muffin tin and then rolled my little “donut holes” in a mixture of finely ground sucanat and cinnamon. Delicious little snack. Question: Did you beat your egg whites manually with a fork? That’s a bit of work! I used an immersion blender :) I need to get another stand mixer. Those look delish! Does the book offer egg-free options? Ever try frying these after baking? Wonder if that would work to get a more doughnut like concept….?? 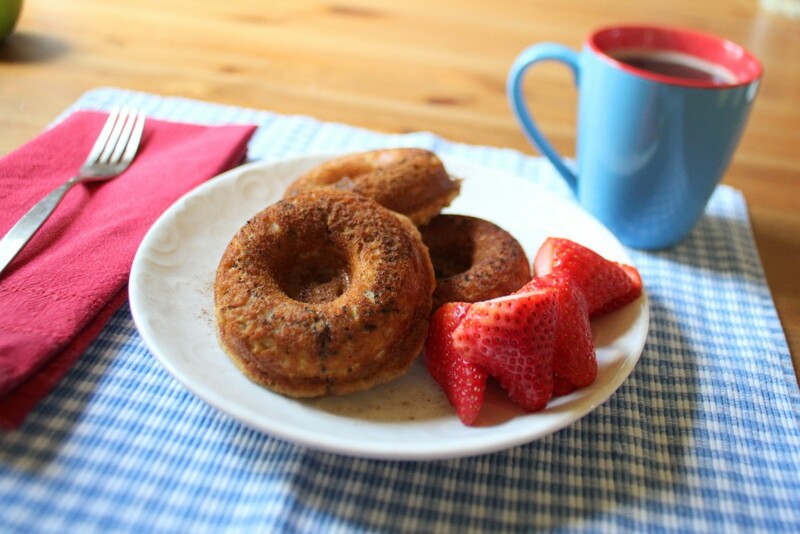 I just started the GAPS diet and need to know how to make these donuts without the baking soda. Love your site!